You can play Chinese Checkers on this website so you don't need to download and install the game on your computer. We recommend to use Google Chrome when playing DOS games online. 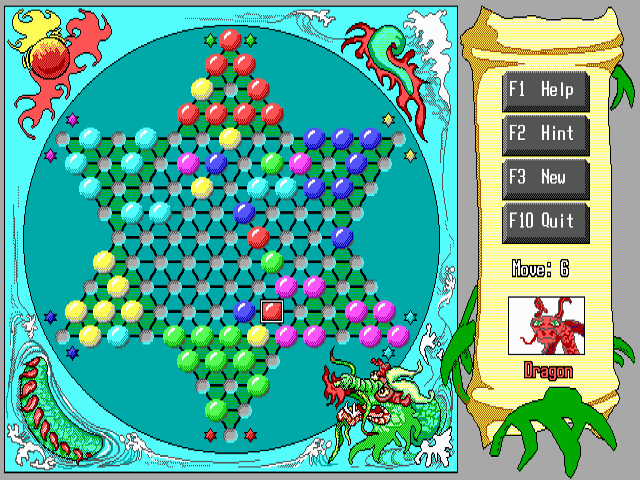 The animated graphics in ImagiSOFT's extraordinary Chinese Checkers bring this classic game to life. The marbles actually seem to jump off the screen! Challenge up to five opponents and see if you can be the first player to move all your marbles to the opposite side of the board. Nominated for Best Entertainment Software and Best New Product at the 1992 Shareware Industry Awards. 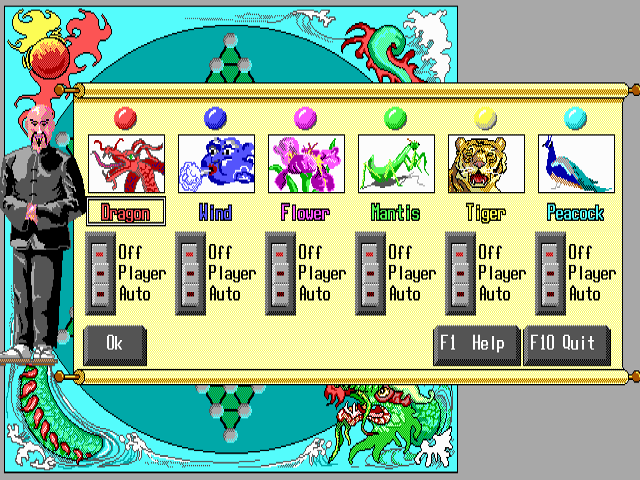 You can move your marbles with the keyboard, but it is easier if you have a mouse.